It is now ten years since regional network WIN spread to Western Australia. 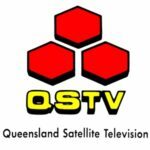 The station was originally due to launch on Friday 26 March 1999 but at the last minute decided to begin broadcasting a day earlier to broadcast news bulletins with particular attention to Cyclone Vance that had swept across the state just days before. 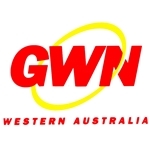 WIN paid around $36 million for the licence to operate a statewide television service in competition with long-time incumbent Golden West Network (GWN), followed by around $14 million in setup costs – compared to the $70 million that Prime Television paid to gain control of GWN from Kerry Stokes. Despite some confusion over possible network affiliations in the early days of planning, WIN did launch with affiliation to both Nine and Ten networks. 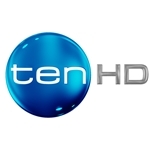 So while WA viewers could see programs such as Hey Hey It’s Saturday, Friends, The Footy Show, Getaway, Water Rats, Sunday, A Current Affair, Today and 60 Minutes from the Nine Network on WIN, they could also see Neighbours and imported programs such as The X Files, Melrose Place, The Oprah Winfrey Show, The Simpsons, NYPD Blue and The Nanny from Network Ten. (not taking into account the last minute change to broadcast some programming the previous day) 5.30pm Ten News, 6.30 A Current Affair, 7pm WIN Television Western Australia Official Launch, 7.30 Friends, 8pm The Nanny, 8.30 Movie: Casino, 11.40 Nightline, 12.10 Swimming: Australian Championship, 1.40am Rugby: Melbourne Storm vs Canterbury, 3.50 The Late Show, 4.50 Outer Bounds, 5am Wild West Cowboys Of Moo Mesa, 5.30 Zorro. Source: The West Australian, 26 March 1999. 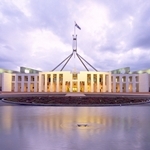 WIN launched in Western Australia with coverage of approximately 85 per cent of the state’s regional population through terrestrial transmitters, on both VHF and UHF, as well as satellite transmission via the Optus B3 satellite. The dual affiliation status of WIN was not unique in Australia but it did lead to some bold moves both on and off screen. First, WIN set up its WA headquarters at the studios of Perth’s NEW10 apparently as a snub towards the company’s traditional affiliate partner the Nine Network. The move was rumoured to be in response to some hostilities between WIN owner Bruce Gordon and Sunraysia Television, owner of STW9 Perth. At the time of its launch, WIN also elected to relay Perth’s Ten News across Western Australia as at the time it was Perth’s second-highest rating news service behind Seven Nightly News. WIN also chose Ten News because it featured former GWN presenter Christine Morrissey (pictured, with Ten News colleague Greg Pearce), which WIN hoped would give it some advantage in the regional market. WIN decided to screen Ten News on delay at 5.30pm, leading into A Current Affair from Nine at 6.30pm. GWN, meanwhile, had cancelled its one-hour Bunbury-based news hour and replaced it with Golden West News at 5.30pm followed by a relay of Seven Nightly News and Today Tonight from Perth. In 2007, WIN Corporation finally gained control of STW9 Perth after a lengthy battle with Sunraysia. Following the takeover, WIN then moved its regional WA operations from NEW10’s studios to STW9, and replaced the relay of Ten News with National Nine News from Perth. WIN has also since launched a regional news service, with reporters based around the state, to compete with incumbent GWN News. The first proud moment for WIN this month. The second is coming up in five days, the 20th anniversary of aggregation, for which without it, WIN would not be enjoying it’s success today. That’s all fine, but when local identity is lost, it becomes problematic. WIN should’ve stayed in Wollongong in my opinion.